Earlier last week, my brother kept ranting about how I’m my Dads favorite, I just couldn’t stop laughing😂. Family rocks! 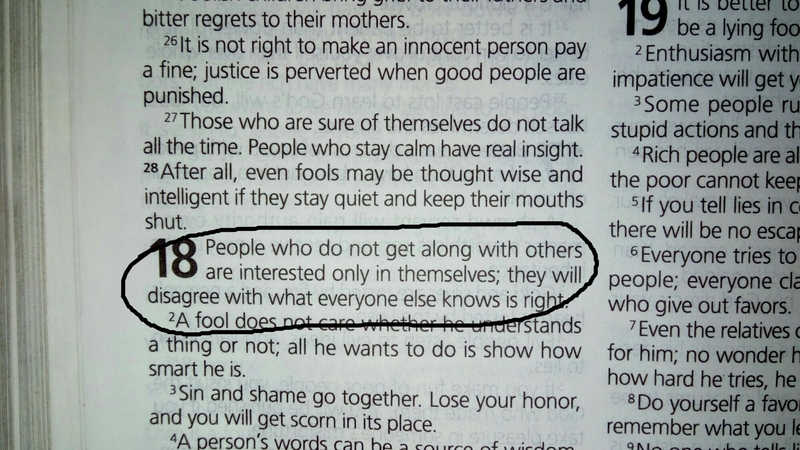 During one of the little time I spent with my family, my dad shared Proverbs 18:1 with the family and then I began to meditate on it. I used to be someone who’d rather keep to herself than be seen associating with just anyone( I wasn’t shy neither did I have a low self esteem), I had this belief that I didn’t need anyone and that no one had anything to offer me or give me, I was very self opinionated, I was all about myself (forgetting the Christian life is SELFLESS). This translation totally blew my mind because I realized I was seeking my own desire and I sure wasn’t getting any wise and sound judgement from myself and at some point I just wasn’t going to let go of that for God to handle. God uses people to speak to people, God would speak through his word, by the Spirit and through people. I wasn’t doing that and that was PRIDE on my part… Lol but I was acting all foolish and dwelling on my own wisdom which although got me somewhere but not where I’m to be per-adventure I listened to people and learnt from their experiences. At some point I felt God wanted me to learn things on my own, I thought he wanted me to be my own Margaret Thatcher(“Iron lady”,I adore her though)lol… I thought God wanted me to learn from my own experiences but Jeremiah 29:11 says otherwise. God loves me so much that he wants the very best of me so why in the world would I think otherwise? The second part is having to be alone to get the best of God. I’ve not exactly had an experience of this so I won’t talk about it, you’d know when that happens. 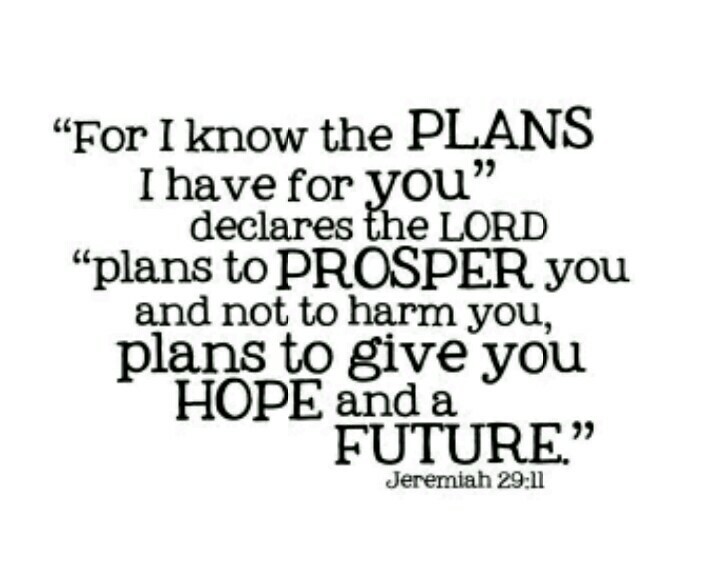 P.S: My exams start soon and I trust God for the best, I mean I have the mind of Christ so why fear? I’m sure you have loads of experience on this. You just didn’t recognise this was God revealing His best. Or maybe you meant something else. Awwnn thank you so much. I won’t stop and my exams are going on well. a piece of writing as much as this one. You have gone beyond my expectations on this topic and I totally agree with your points. Wow, this is such a great and important message. I think it’s vital to also realize that God made us for community and as much as we can grow on our own we require a group of people to pour into us and people we can be held accountable to in order to truly grow into our God given purpose.